The Matrix of World Travel: Cuba - "We Have Absolutely No Fear of You Mr. Imperialists"
Cuba - "We Have Absolutely No Fear of You Mr. Imperialists"
In honor of the US having normalized relations with Cuba (someone in Florida must have died as it's certainly over someone's dead body) I can now publicly state that someone here at RichTrek.com might have visited while in college in the mid to late 90's. 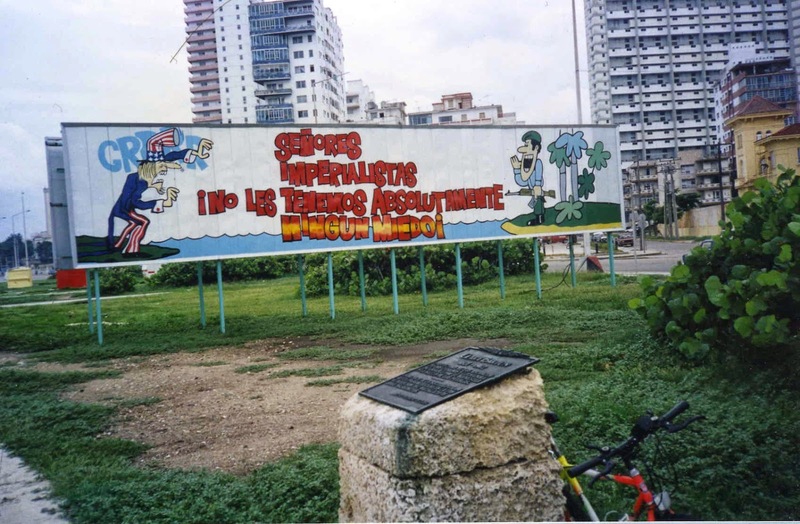 I want to present to you my most striking memory of the island nation, this sign, by the beach in Havana, no doubt pointing towards the United States. Translation: "Mr. Imperialists- we have absolutely no fear of you." So they had similar signs in Poland? Makes sense. 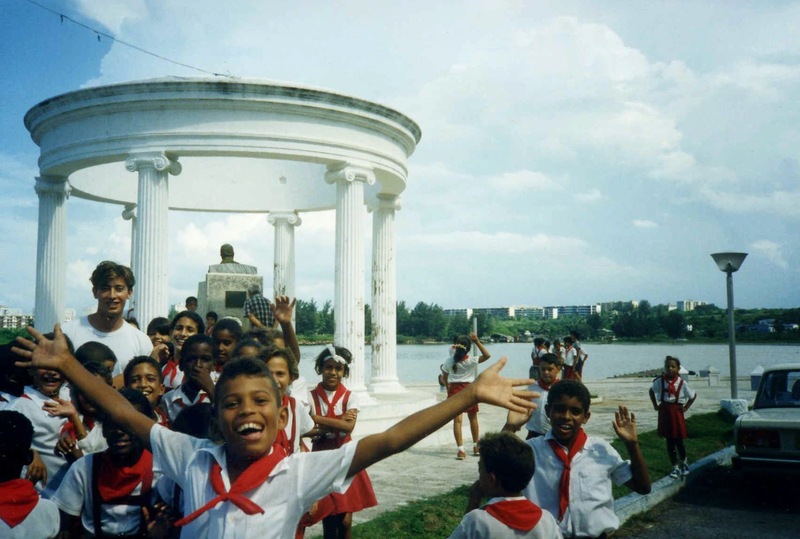 But Cuba is so much closer ... My dad is from Warsaw. Cheers Yvonne!